Alex believes that fitness improves both physical and mental health which will lead to improvements in all aspects of everyday life. 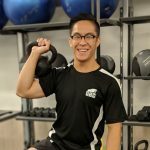 Fitness has helped Alex reduce health risks, gain confidence, and reduce stress which motivated him to become a Personal Trainer. 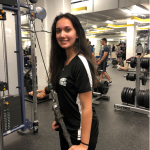 Being a student, Alex understands the importance of a smart and effective workout to maximize results in your busy day. 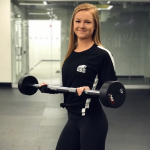 With experience working with all ages and fitness levels, Alex can personalize your workouts so that your goals will be attained in an enjoyable way that will lead to a more productive day. 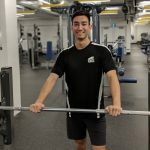 Alex is currently in his fifth year in the faculty of Kinesiology at UBC. 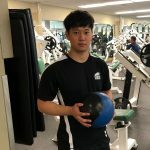 He’s always been engaged in an active lifestyle through extracurricular sports including volleyball, basketball, badminton, and weight lighting. Sports and physical activity have played an integral role in his lifestyle today. He believes in that exercise can be a fun activity that can be incorporated into everybody’s lifestyle. Alex is excited to apply his sports and health background to help others and watch them succeed. 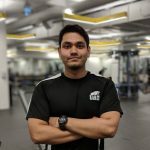 Through his schooling and hard work, he has grown to appreciate the benefits of exercise as it has helped him build his physique, health, and improve his self confidence. He will create a program that will push you towards your goals while being enjoyable and supporting you through your fitness journey. Anika is a 3rd year Kinesiology student in the Interdisciplinary stream with a minor in Nutritional Sciences. 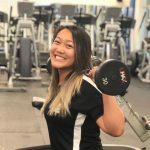 She is hoping to incorporate both nutrition and fitness to help individuals achieve their goals. She is a competitive dragon boater who loves to be on the water year-round and has been on the Canadian National Team in 2015 and 2017. She still competes today with her team called Firetruck and is hoping to head to Nationals in 2019 to compete for a berth to attend the Club Crew World Championships in 2020. Anika believes that training hard and consistently while incorporating the proper nutrition will help you reach your goals. It is never too late to start your fitness journey and she is willing to guide, support and motivate you so that you can be confident in the gym. 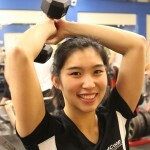 Alex is in her final year of studies at UBC; majoring in Kinesiology and minoring in Psychology. She is eager to be able to apply her sport and health background to others and watch them grow. 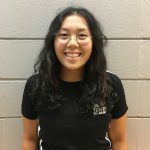 She has been involved in a variety of sports over the years, and has been dragon boating for over 8 years, as well as played on club touring teams for ultimate frisbee. Alex knows and understands the benefits of staying active and aims to bring this awareness to others. Throughout her life, sport and physical activity have played a huge part in her mentality and lifestyle. Mental toughness and the ability to motivate and push ones self is just as crucial as the workout. With Alex as a trainer, she will help create a program just for you and keep you motivated every step of the way. 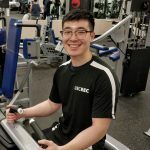 Eric is a Cognitive Systems student at UBC who lives by a fitness-oriented lifestyle. At the age of 14, he began actively training and has also competed in power lifting competitions. Since starting training, he has learned and experimented with many methods of exercise and stretching. He also founded and managed a high school exercise club where he began teaching health & fitness. Eric’s approach is not in quick-fixes or short stints, but instead in a lifestyle change that stresses consistency and adherence. With Eric, he will use his experience and knowledge to his best ability to create a personalized program for you. Shiv has been a fitness enthusiast for over 7 years. He believes that fitness is not just about strength or functional agility, it is rather a lifestyle for improved and sustained living. Having trained people for strength building, fat-loss and muscle gaining, he has a holistic approach to fitness. Shiv is certified personal trainer in addition to being a certified Yoga teacher and initiation Swedish massage therapist. He always aims to make workouts challenging and interesting, helping you reach your fitness goals. 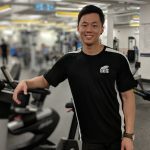 Chris is currently a 4th year Kinesiology and minor of Psychology student at UBC. He has always been an advocate of living a healthy lifestyle through nutrition and fitness. He believes that fitness doesn’t have to be a chore, rather should be something you look forward to doing. Fitness is more than just being in a gym; it is enjoying living a heathy balanced lifestyle. 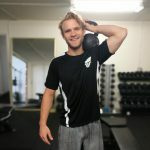 Chris has over 6 years of weightlifting experience, over 2 years of personal training experience and has various experience playing several sports, including currently playing ice hockey. As a Kinesiology student, he is always keeping up with current research to achieve maximum results. 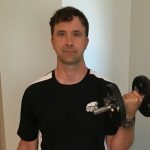 His main focus is to develop personal training programs tailored to inspire and motivate you to achieve your fitness goals, whether it be correcting movement dysfunctions, weight loss or increasing muscle growth. Vincent believes that physical activity is an important factor and can be implemented into a healthy and balanced lifestyle. 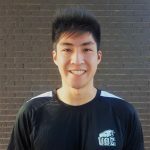 Vincent is currently a 4th year Kinesiology student at UBC and his passions are weight training and snowboarding. 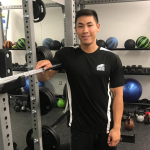 Vincent has developed the knowledge and basis for training while studying kinesiology and is excited to apply that knowledge to others around him. 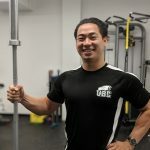 Vincent will help personalize and fine tune various programs to tailor towards your personal fitness goals and needs. Vincent is a huge advocate for self-improvement and positive behavioural changes to help with changes in lifestyle and exercise adherence. He will be able to demonstrate and teach efficient exercises to help you work up a sweat. 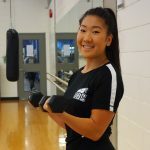 Leuna is a second-year student working towards a Bachelor of Science in Kinesiology degree at UBC. 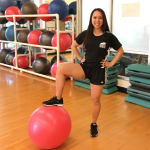 She chose kinesiology because of her lifelong interest in helping people reach their fitness and lifestyle goals. Outside school, Leuna spends her free time hiking, swimming and playing volleyball. 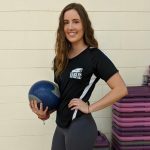 She spent the last few years working with various trainers and kinesiologists in multiple gyms, which has provided her with valuable insight into the world of fitness. Through these experiences, Leuna has learned the importance of efficient exercise programs and proper nutrition when it comes to health and fitness. 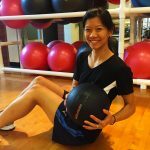 Leuna will use her kinesiology knowledge and work experience to personalize exercise programs for you, so they are tailored to your goals. She understands that life is all about balance so her programs will be designed to work around your lifestyle and commitments. Leuna’s mission is to help you reach your fitness goals in an enjoyable way so you always leave feeling a bit more confident after each session.